Матрац Prestige 7 "Pocket Spring"
Mattress Prestige 7 "Pocket Spring"
Mattresses series "PRESTIGE LINE" have a pronounced orthopedic effect, have a high degree of adaptation to the body structure of person. Provide elastic support and allow the spine to be in the correct anatomical position during sleep. 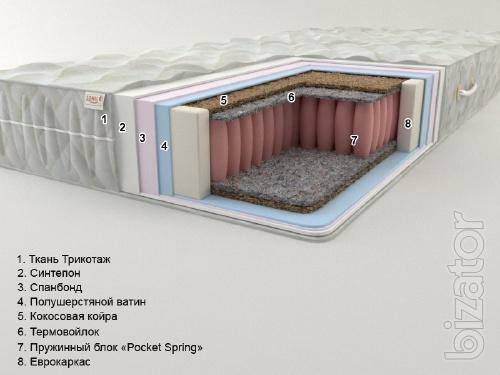 Excellent selected floorings sides of the mattresses make great value parameters of stiffness and elasticity, provide a feeling of complete natural comfort and healthy sleep for years to come.